Nikon Diaphot TMD Inverted Phase Contrast Microscope Mercury Lamp . New Life Scientific, Inc. 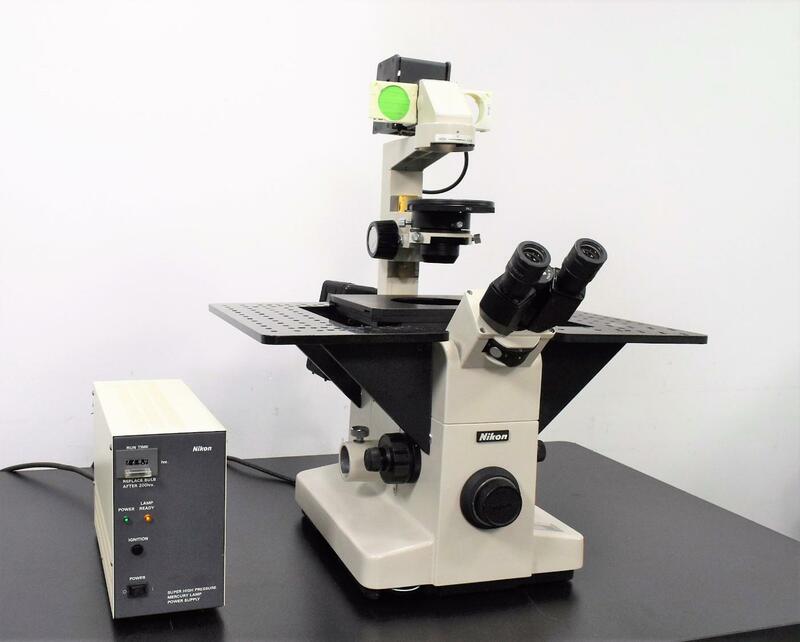 This Nikon Diaphot Inverted Microscope, engineered for phase-contrast microscopy, is in good condition and has been verified to be functional by our technician. All you’ll need to start imaging samples is one of the supported objectives. We believe this microscope to be a Nikon TMD model; however, there is no label on the instrument stating exactly what it is. Our technician informs us that the Nikon Diaphot was designed with one purpose in mind: Quality phase-contrast microscopy. This microscope allows for easy processing of transparent samples without needing to stain them. We also lubricated the instrument and performed basic cleaning. However, the instrument could use additional work by someone who knows how to clean microscope optics. After their examinations and being cleaned inside and out, products often leave our shop meeting manufacturer specs. We realize that buying pre-owned can be unnerving and that you want assurance in your purchase, so we include a 90-day warranty on our equipment to protect you against any equipment failure or defects. If anything goes wrong, our in-house support is only a phone-call away. Support for Instrument Longevity - In addition to our 90-day warranty, we offer you continued support from our technicians, including technical questions and consulting. We may be able to offer exchange or back-up units in a pinch.